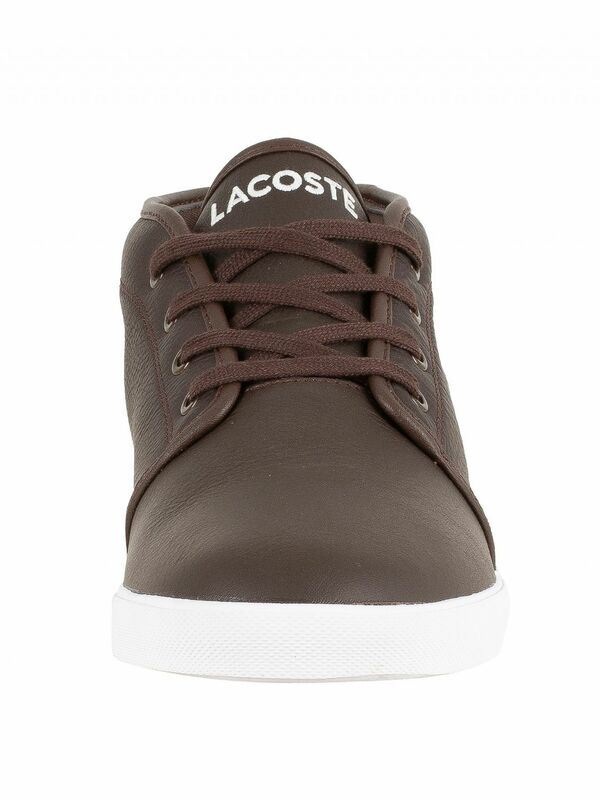 Featuring vulcanised rubber soles and leather uppers, these Ampthill LCR3 SPM Hi Trainers by Lacoste come in Dark Brown/Dark Brown and sport the brand logo on the quarter. 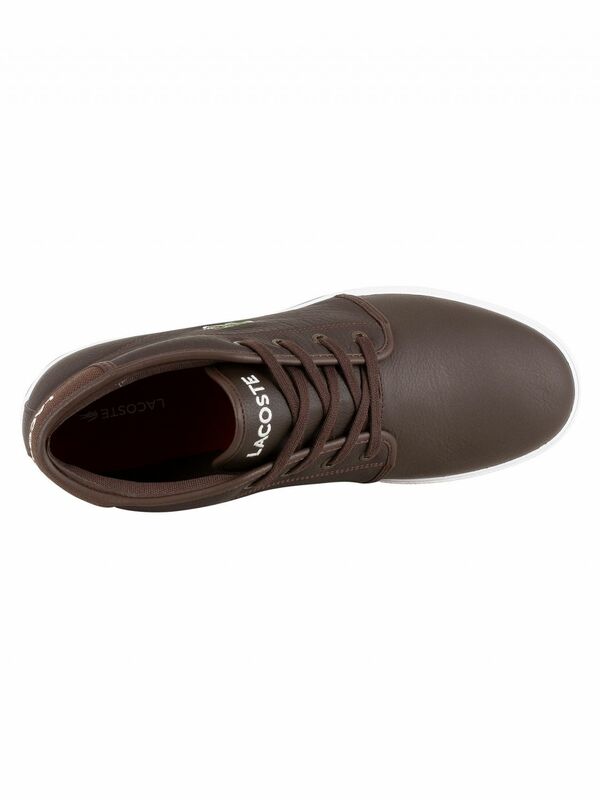 This non washable Ortholite pair of trainer for men offers performance insoles which wicks away moisture, air flow for a cool foot, odour and fungus inhibiting and long lasting cushioning. 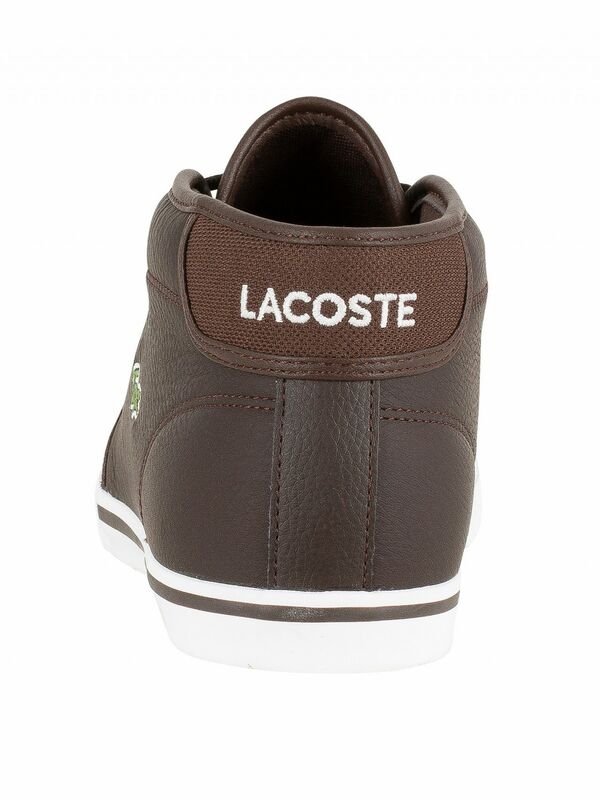 They have a lace-up closure and brand name prints on the insole and back heel. 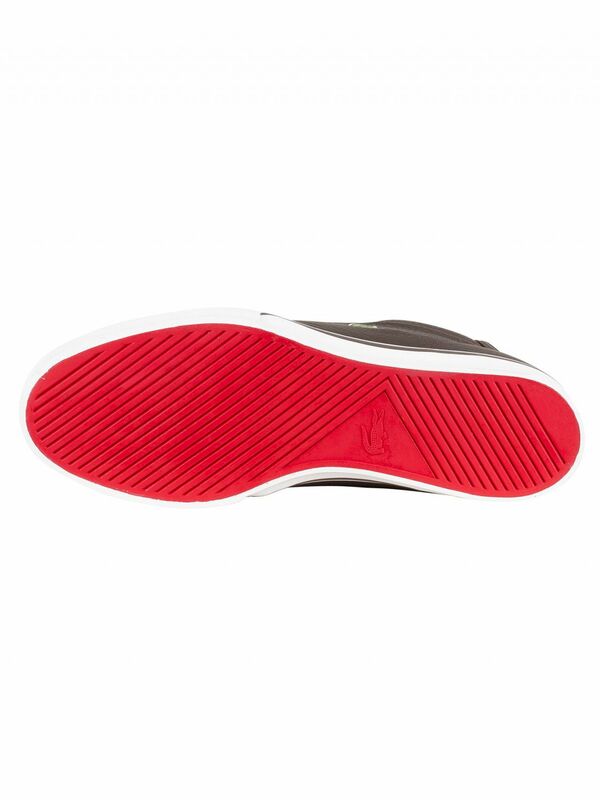 The collar and tongue are padded. 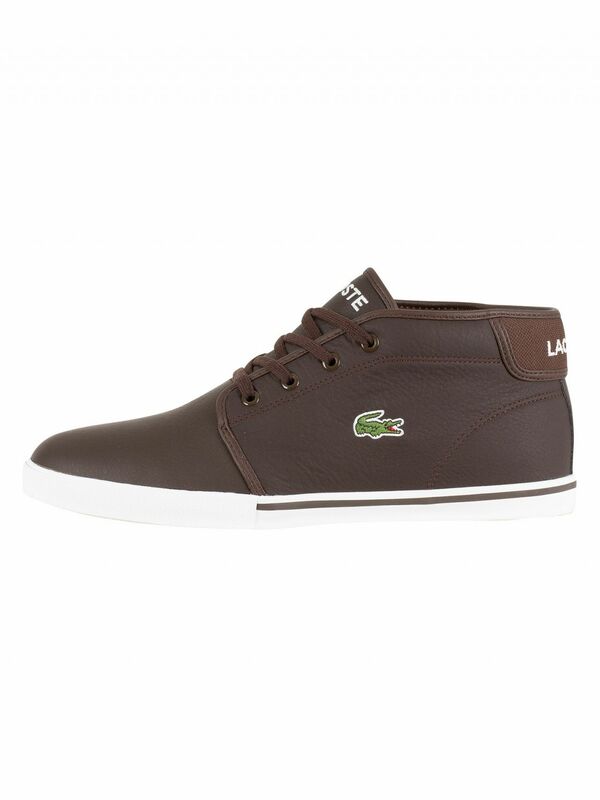 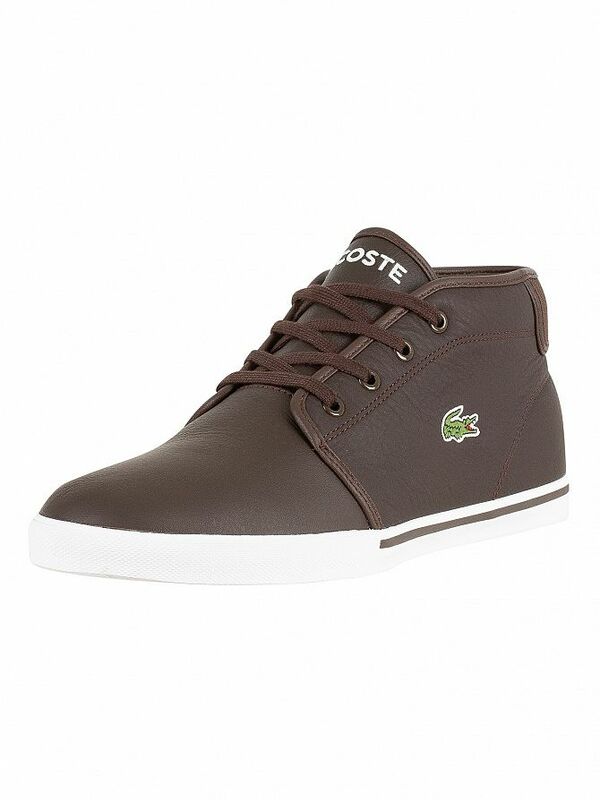 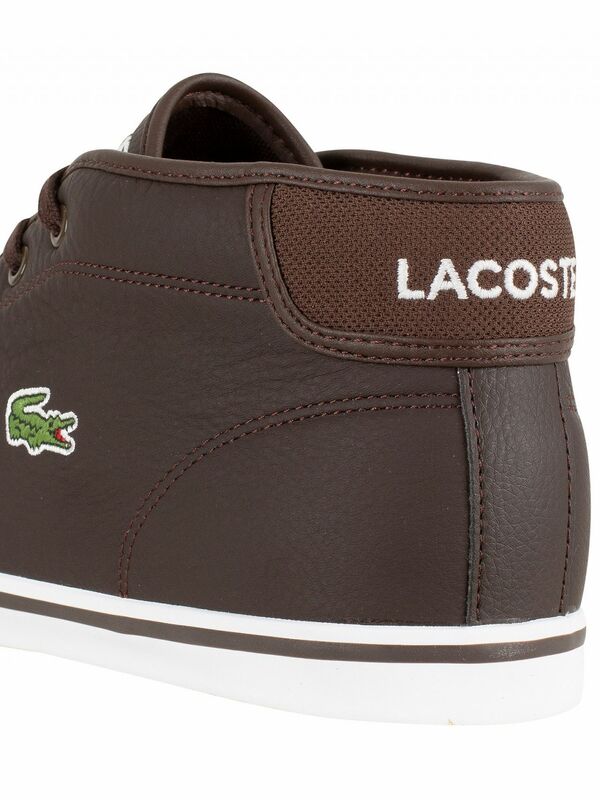 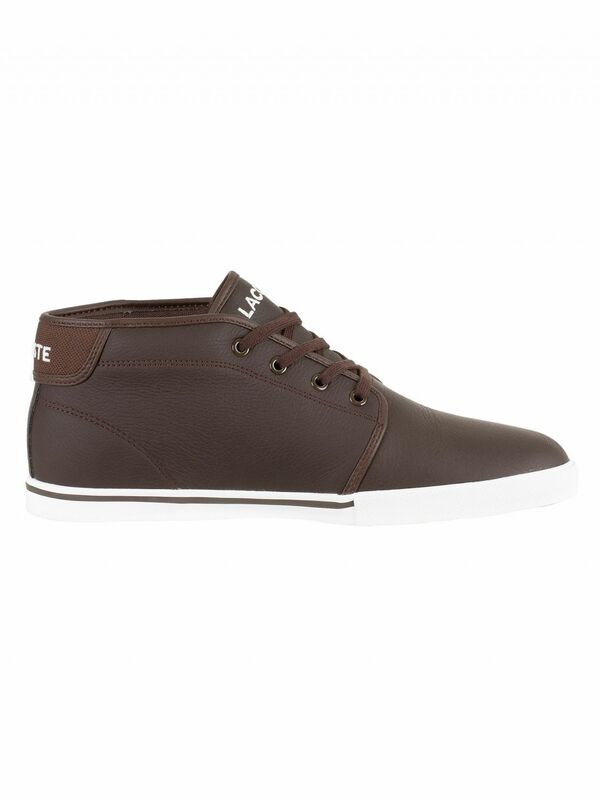 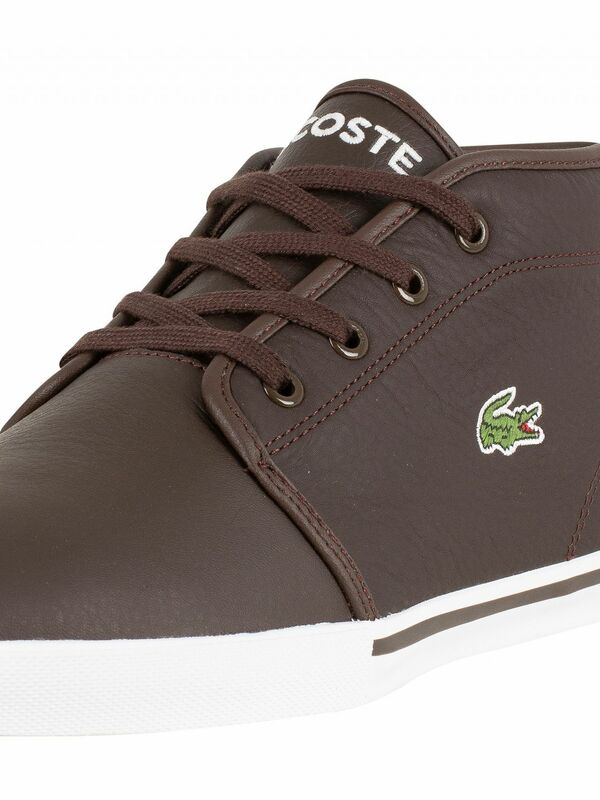 View similar Lacoste or similar Leather Trainers.